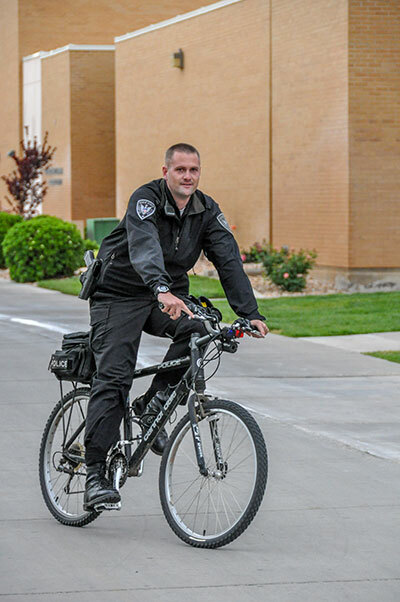 The Student Rights and Responsibilities Code is a part of the Policy and Procedures that govern Dixie State University. It is designed to protect individuals, the campus, and the university community as well as create an environment conducive to achieving the academic mission of the university. It is important for students to know what their rights are as well as what responsibilities they have. The full text of the document can be found in the DSU Policy Library, policy 522 Student Rights & Responsibilities. 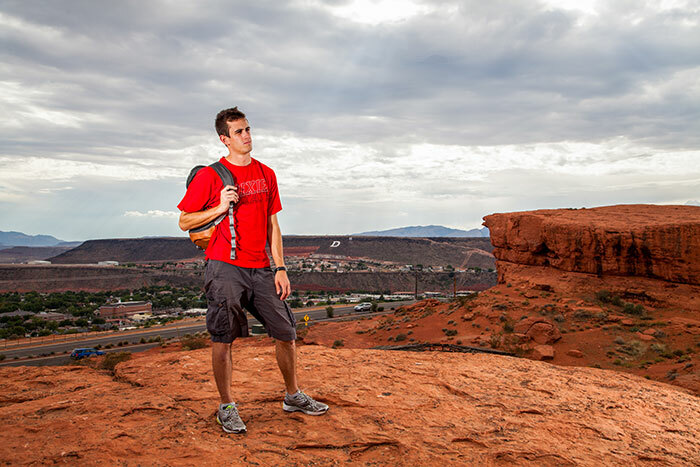 Students at Dixie State University have the following rights and privileges and also have the responsibility not to deny these rights and privileges to other members of the university community. Learning Environment Students have a right to an environment and climate conducive to learning and thinking. Students have a right to be treated with courtesy and respect. Classroom Rights Students have the right, at the beginning of the course in the form of a syllabus, to reasonable notice of the general content of the course and notice of what will be required of them. Academic Evaluation Students have a right to have their performance evaluated promptly, conscientiously, and without prejudice or favoritism, consistent with the criteria stated at the beginning of the course in the form of a syllabus. Student have a right to be evaluated in an atmosphere that values academic integrity. Role in University Governance Students have a right to participate in the formation and application of University policy affecting academic and student affairs through clearly defined means. Students have a right to perform student evaluations of faculty members. Due Process Students have a right to due process in any proceeding involving the possibility of serious sanctions. Freedom from Discrimination, Harassment, and Sexual Harassment Students have a right to be free from illegal discrimination, harassment, and sexual harassment. Freedom of Expression and Inquiry Students are entitled to academic freedom and autonomy in their intellectual pursuits and development. Privacy and Confidentiality Students have a right to privacy and confidentiality subject to University rules and other statutory regulations. Student Records Students have a right to educational records that accurately reflect their performance. Students have a right to examine and challenge information in their educational records. Student Government & Organizations Students have a right to participate in Dixie State University Student Association elections and form student organizations for any lawful purpose as approved by the dean of students. Physical or verbal assaults, stalking, hazing, threats, intimidation, coercion, or any other conduct that threatens or endangers the health or safety of another member of the University community or any other person. Hazing is defined as an abusive or humiliating initiation into a group or affiliation. Stalking is defined as intentionally and repeatedly following, contacting, or harassing another person, so that fear is instilled in that individual. Attempted or actual theft of University property or of any individual’s property, or intentional or reckless destruction or damage of University property, equipment, materials, data, and other resources, or intentional misuse of same, including unauthorized possession or use of computer passwords or keys. Use, possession or distribution of controlled substances, except for legal, personal use of prescribed medications as governed by Utah law. Violation of federal, state, or local civil or criminal laws. Breaching a contract made with the University, including those related to University-owned housing. Acts of dishonesty, including but not limited to making false statements, fraud, providing false information or identification, forgery, or misuse of University documents, forms, records, and identification cards. Intentional disruption or obstruction of instruction, research, meetings, or other University functions or activities, including unreasonable interference with those walking or traveling to such. Illegal or unauthorized possession or use of a firearm, ammunition, explosives, weapons, or dangerous chemicals; or use of such items, even if legally possessed, in a threatening or irresponsible manner that causes fear of imminent bodily harm. Violating the Policy 6-49 Use of University IT Resources, including copyright violations. Refusal to respond to reasonable requests and direction from University authorities while in the performance of their duties. If your rights are being violated by another person and your life, health, or property are in danger, call 911 immediately to get help. If you feel your rights as a student have been violated by another student in a nonemergency situation, you should first seek to resolve the situation with the individual involved. If this is unsuccessful, make a complaint in writing to the dean of students within 45 days of the incident. If this does not resolve the issue, you may appeal to the vice president of student services. When the dean of students receives a complaint that a student has violated the Standards of Student Conduct, he will discuss the issue with that student. He may dismiss the complaint if there is no reasonable basis for believing the complaint. If the student admits to the action, he will decide the consequences that will be imposed. If the student denies culpability and the dean believes there is reasonable basis for believing the complaint, the issue will be dealt with by the Student Conduct Committee. If consequences are imposed by the committee and the student feels they are not justified, he or she may appeal to the vice president of academic services. As a student, you are responsible to comply with all of the university’s regulations and deadlines about adding classes, dropping classes, auditing courses, paying tuition and fees, administering complete withdrawals, applying for graduation, and so on. In the case of unusual or extenuating circumstances, you can petition the Policy Exceptions Committee for an exception to a policy. You must complete an “Exception to Policy” form, found on the DSU website on the Registration page under Forms. Submit it to Registration along with supporting documentation such as letters from physicians, DSU administrators, DSU instructors, etc. Not knowing about the deadlines or wanting to make your transcript look better are not sufficient excuses to get an exception to policy. The Policy Exceptions Committee will consider your petition and make a decision. If your petition is granted, they will make the needed changes. If they deny your petition, you will then be invited to appear before the committee and make your petition in person, and they will make a second decision. If this is unsuccessful, you may appeal their decision to the vice president of student services. This process is in place to help students who experience serious difficulties while in school, including medical emergencies, family emergencies, and so on. If you end up in this situation, make sure to make use of the exception process; the dean of students can assist you if needed. However, it is not meant to remove the results of students’ lack of responsibility for being aware of deadlines and following them. If you want to appeal a course prerequisite, course placement, or a program requirement, you must go to the department chair where the course is offered. If you want to appeal a general education requirement, you must submit a petition to the Academic Appeals Committee. If you maintain a cumulative GPA of 2.0 or above, you are considered to be in Good Academic Standing. However, if your semester GPA falls below 2.0, you will be placed on Academic Alert. You will not be able to register for more than 13 credits without permission from the academic improvement advisor. If your cumulative GPA falls below 2.0 and you have more than 25 credits, you will be placed on Academic Warning. You will not be able to register for more than 13 credits, and you will be required to participate in a workshop designed to help students increase their academic performance. If your semester and cumulative GPA remain below 2.0, you will be placed on Academic Probation. You will not be able to register for more than 13 credits and you will have to establish an academic improvement contract with the academic improvement advisor. If your semester and cumulative GPA remain below 2.0, you will be placed on Academic Suspension. You will not be allowed to enroll for a minimum of one semester and will have to petition the director of academic advisement for reinstatement as a student. To avoid all of these difficulties, it is important to maintain a semester and cumulative GPA of 2.0 or above. If you are having difficulties during a semester, contact your professors for help in your classes. You can also seek help from an advisor in the Academic Advisement Center. Try to resolve the situation before your GPA falls below 2.0. Professors are responsible to observe and judge your academic performance, including demonstrated knowledge, technical and interpersonal skills, attitudes and professional character, and ability to master the required curriculum; they then give grades on exams, activities, assignments, and courses. Degree programs and departments also have the ability to place a student on academic probation or suspend or dismiss a student from a program if he or she fails to meet the academic standards of that program. All of these are called academic actions. If you feel any academic action administered to you is unreasonable, you should first attempt to resolve the issue with your professor. If this is unsuccessful, you may appeal to the department chair in writing within 30 days of the action. The action can only be overturned if it is arbitrary or capricious — in other words, if it has no reasonable or principled basis. If you are not satisfied with the chair’s decision, you may appeal to the appropriate dean. If this is unsuccessful, you may appeal to the Academic Appeals Committee, which will hold a hearing to discuss the matter and make a decision. The final appeal is the vice president of academic services. If you feel your student rights have been violated by a professor, you should first seek to resolve the issue with your professor. If this is unsuccessful, you may file a complaint with the department chair, and if this does not resolve the issue, you may then appeal to the appropriate dean, and finally the vice president of academic services. If you feel your student rights have been violated by any other university employee and you are unable to resolve the issue with this person, you may file a complaint with the dean of students, and if this does not resolve the issue, with the vice president of student services. You are expected to refrain from cheating and any other academically dishonest behavior and report any academic dishonesty that you become aware of. Examples of academic dishonesty are outlined in this section of the Student Code as well as the consequences that can occur. For further information, see the Academic Integrity section of this book. Once you are accepted into a professional program such as Business, Nursing, Education, and so on, you are expected to show that you know how to conduct yourself appropriately in that profession. If you fail to do so, there can be consequences, and they are outlined in this section.